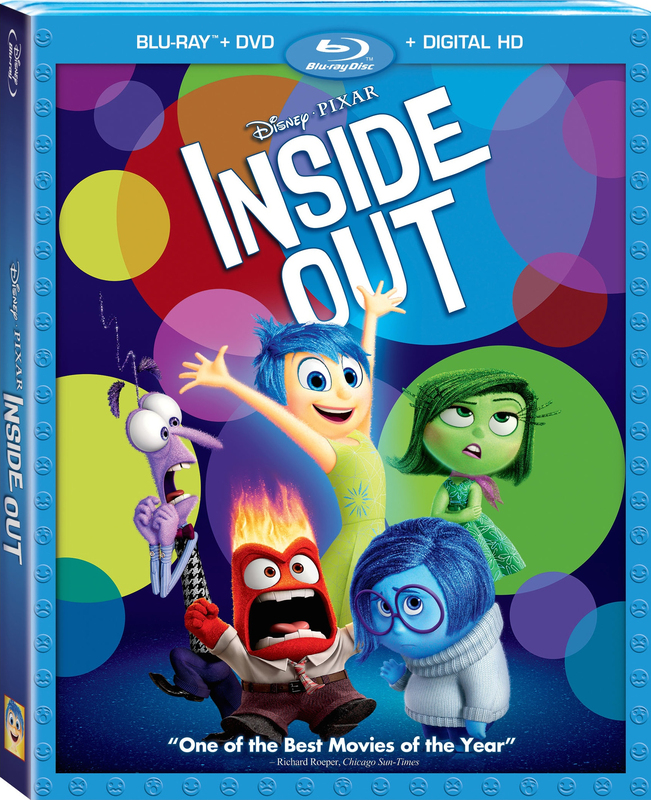 Today, Disney is releasing Inside Out on Blu-ray, the latest and perhaps greatest from Pixar Animation Studios. When Riley (Kaitlyn Dias) goes through a stressful move to San Francisco, the emotions inside her young mind struggle to keep her from falling into depression, after Joy (Amy Poehler) and Sadness (Phyllis Smith) get lost in Long Term Memory, leaving Anger (Lewis Black), Fear (Bill Hader) and Disgust (Mindy Kaling) at the controllers. A shining and powerful example of the absolute finest that animation has to offer, Inside Out is still the best and most profoundly affecting film I’ve seen all year, a beautifully crafted and extremely moving look at memory and emotions that has powerfully revolutionized the way I think about what’s going on inside my own mind. You can read our three views of the film right here. The Blu-ray set also features commentary with director Pete Docter and co-director Ronnie Del Carmen, storyboarded deleted scenes and multiple featurettes on the production, including one dedicated to the women behind the film. There are also the short films Lava and Riley’s First Date?, the former released theatrically with the film and the latter a brand new interlude involving the parents and a visiting boy. Inside Out is 103 minutes and rated PG.